Interesting option to spend some time swimming in Hofgeismar. Is it not your first time here? Tell us how it went using the Facebook comments beneath or contacting us directly! 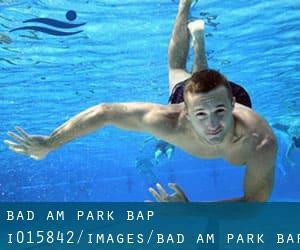 Bad am Park (BaP) is only one of all the swimming pools Swimia is offering you, and its information and facts has been shared with us by a swimmer like you.Don't forget you could now promote Bad am Park (BaP) by sharing this page with your pals, adding comments and linking to us. This sports center offers 25 meters, 6 lanes, Indoors. Contact information and facts for this Swimming Pool which include phone number and email address are number. Updated on 2019 Brueder-Grimm-Strasse 11 , Vellmar , GERMANY (Postal Code: 34246). This sports center provides 25 meters, Indoors. For this Swimming Pool, only phone number is number here. Updated on 2019 Am Hallenbad , Oedelsheim , Oberweser , GERMANY (Postal Code: 34399). This sports center gives 25 meters, 4 lanes, Indoors. For this Swimming Pool, only phone number is number here. Updated on 2019 Esperantoplatz , Fulda , GERMANY (Postal Code: Unknown). Among all of the activities supplied by the center, if you are interested in swimming you may enjoy 25 meters, Indoors. Just in case you want to contact this Pool just before dropping by, we only know the phone number. Updated on 2019 Magdeburger Straße 97 , Fulda , GERMANY (Postal Code: 36037). Among all the activities provided by the center, if you are thinking about swimming you will enjoy 33 meters x 21 meters, 1.8 meters depth, 1.8 meters depth, Indoors. Just in case you want to make contact with this Swimming Pool prior to dropping by, we only know the phone number. Stresemannstrasse 2 , Bad Wildungen , GERMANY (Postal Code: 34537). Among all the activities supplied by the center, if you're interested in swimming you will enjoy 25 meters, 5 lanes, Indoors. If you might want to contact this Swimming Pool, email address and phone number are both number. Updated on 2019 Großenbacher Tor , Huenfeld , GERMANY (Postal Code: 36088). This sports center offers 25 meters x 12.5 meters, 5 lanes, Indoors. Contact data for this Swimming Pool such as phone number and e-mail address are number. Updated on 2019 Schlesienstraße 23 , Bad Arolsen , GERMANY (Postal Code: 34454). This sports center offers 25 meters x 7 meters, 3 lanes, 1.8 meters depth, 1.8 meters depth, Indoors. Contact information for this Swimming Pool for instance phone number and e-mail address are number. Kolpingstraße , Bad Hersfeld , GERMANY (Postal Code: 36251). Among all of the activities offered by the center, for anyone who is thinking about swimming you can expect to enjoy 25 meters, Indoors. Just in case you want to contact this Pool before dropping by, we only know the phone number. Updated on 2019 Heinrich-Plett-Strasse 81 , Kassel , GERMANY (Postal Code: 34121). Among all the activities offered by the center, for anybody who is considering swimming you'll enjoy 25 meters x 12.5 meters, Indoors. Just in case you want to contact this Swimming Pool before dropping by, we only know the phone number. Updated on 2019 Medebacher Landstrasse 25 , Korbach , GERMANY (Postal Code: 34497). Among all the activities offered by the center, if you are keen on swimming you'll enjoy 25 meters, Indoors. Just in case you would like to contact this Swimming Pool before dropping by, we only know the phone number. Updated on 2019 Kurt-Schumacher-Strasse 2 , Kassel , GERMANY (Postal Code: 34117). This sports center gives 25 meters x 16.66 meters, 6 lanes, Indoors. For this Swimming Pool, only phone number is number here.